If you’re looking for a toy hauler fifth wheel for sale, then boy have we got one that is sure to blow your mind. 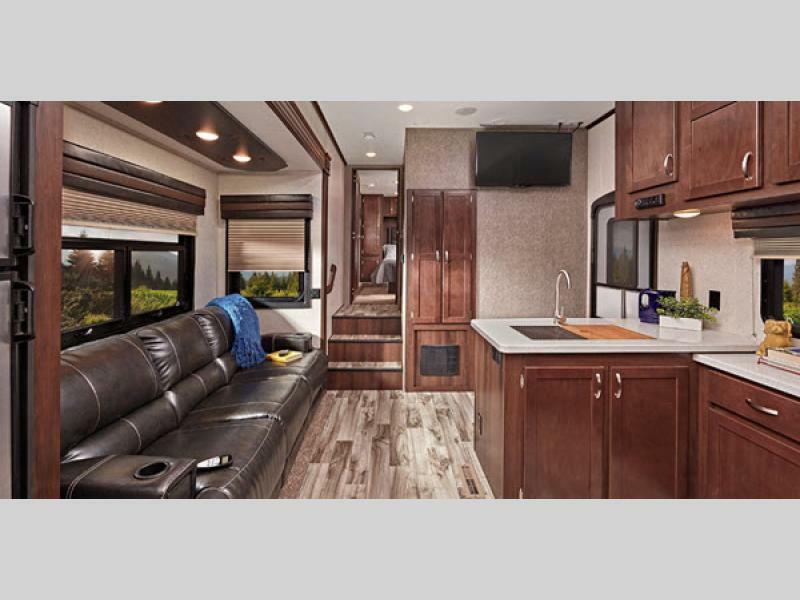 The impressive Jayco Talon toy hauler fifth wheel offers everything needed to feel right at home, along with a fabulous garage that offers a 2,500 ramp capacity and rear electric queen beds with a rollover sofa, folding armrests, and cup holders. This RV ensures no toy is left behind! 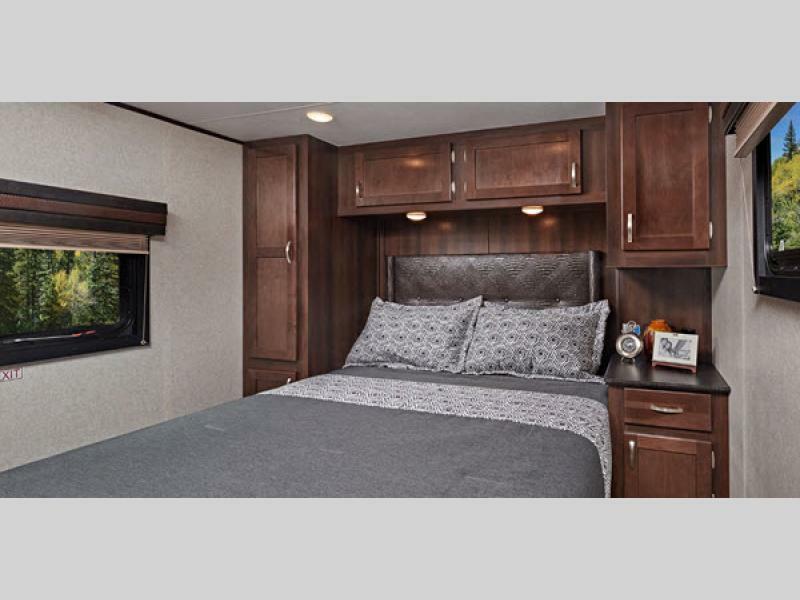 Read our 2019 Jayco Talon toy hauler fifth wheel review to learn more. A warm, inviting bedroom makes Talon the ideal place to put up your feet and relax after a day out. Extensive storage provides space for all of your must have items, while attractive decor makes you feel at home. 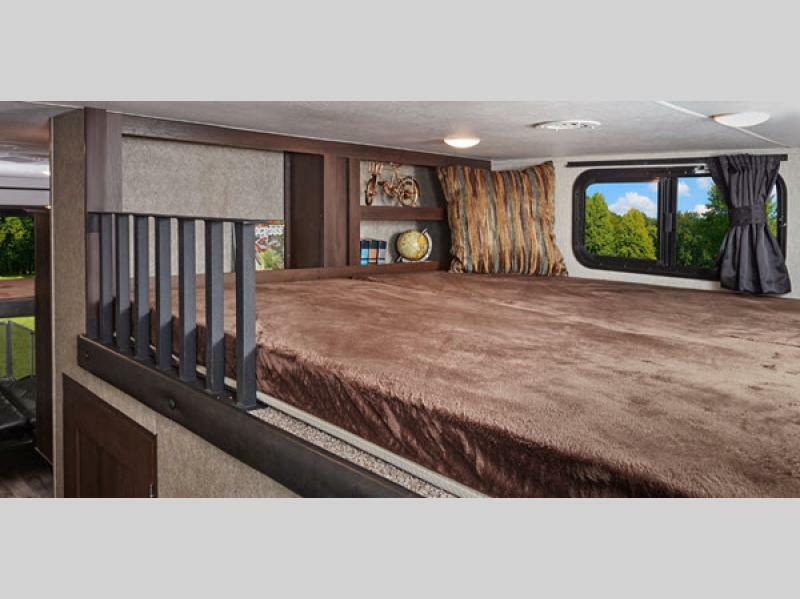 Whether you’re taking a quick trip to a local state park or heading out to explore our nation’s national park system, you’ll love the comfort and privacy afforded to you from the large bedroom found in every Talon floorpan. At the end of the day it’s nice to know that you can come home and rest without the kids bugging you. The impressive loft area offers a separate space for the kids to kick back, play games, or just stay up all night eating junk food. Hey, it is vacation! If you enjoy cooking you will love the time spent in Talon’s kitchen. It boasts tons of counter space, as well as high end appliances that make cooking delicious meals enjoyable. Of course, the best part is sitting down in your dinette or on your back garage deck and digging in to a home cooked meal. If you’re interested in learning more about our selection of Jayco Talon toy haulers for sale, contact us. We’re here to help you find the best RV for your needs, answer any questions you have, and ensure you have the information needed to make the best decision for your needs. We can also assist with RV financing.